An open-source orchestration system for managing containerized applications across multiple hosts. Containers weighing you down? Kubernetes can scale them. In order to run and maintain successful containerized applications, organization is key. Kubernetes is a powerful system that provides a method for managing Docker and Rocket containers across multiple hosts. 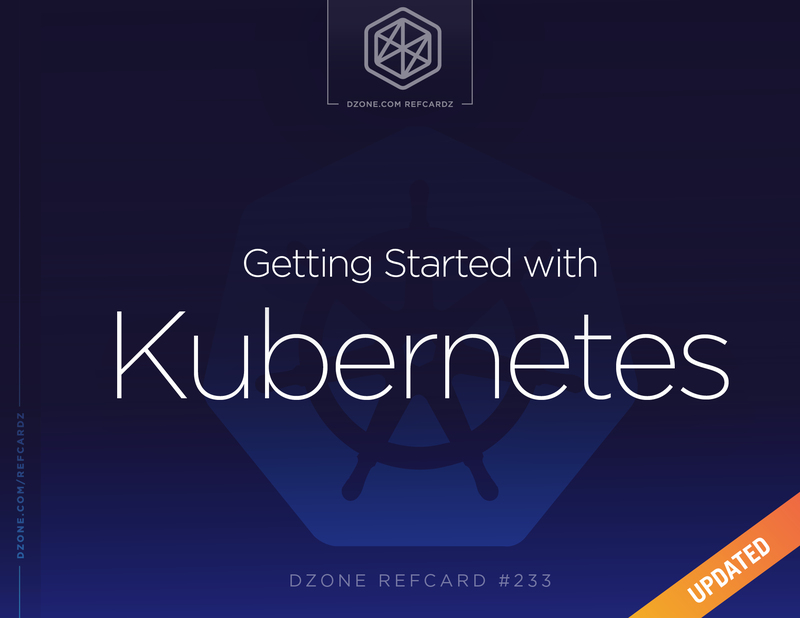 This Refcard has all you need to know about Kubernetes including how to begin using it, how to successfully build your first pod and scale intelligently, and more. Kubernetes (http://kubernetes.io) is an open source orchestration system for managing containerized applications across multiple hosts, providing basic mechanisms for the deployment, maintenance, and scaling of applications. Originally created by Google, in March of 2016 it was donated to the Cloud Native Computing Foundation (CNCF). Kubernetes, or “k8s” or “kube” for short, allows the user to declaratively specify the desired state of a cluster using high-level primitives. For example, the user may specify that they want three instances of the Couchbase server container running. Kubernetes’ self-healing mechanisms, such as auto-restarting, re-scheduling, and replicating containers then converge the actual state towards the desired state. Kubernetes supports Docker and Rocket containers. An abstraction around the containerization layer will allow for other container image formats and runtimes to be supported in the future. A Pod is the smallest deployable unit that can be created, scheduled, and managed. It’s a logical collection of containers that belong to an application. A label is a key/value pair that is attached to objects, such as pods. In the previous example, metadata.labels define the labels attached to the pod. Labels define identifying for the object and is only meaningful and relevant to the user. Multiple labels can be attached to a resource. Labels can be used to organize and to select subsets of objects. A replica set ensures that a specified number of pod replicas are running on worker nodes at any one time. It allows both up- and down-scaling the number of replicas. It also ensures recreation of a pod when the worker node reboots or otherwise fails. NOTE: Replica Sets replaces Replication Controllers. # label key and value on the pod. # These must match the selector above. Each Pod is assigned a unique IP address. If the Pod inside a Replication Set dies, when it the pod is recreated it may be given a different IP address. This makes it difficult for an application server, such as WildFly, to access a database, such as Couchbase, using its IP address. A Service defines a logical set of Pods and a policy by which to access them. The IP address assigned to a Service does not change over time, and thus can be relied upon by other Pods. In addition, pods can find the services using service discovery either via environment variables or DNS. NOTE: You can combine a Service and Replica Set in the same yaml file by separating them with ---. A Volume is a directory on disk or in another container. A volume outlives any containers that run within the Pod, and the data is preserved across Container restarts. The directory, the medium that backs it, and the contents within it are determined by the particular volume type used. NOTE: hostPath is a fine option for testing, but it is not suitable for production use. A Kubernetes cluster is a set of physical or virtual machines and other infrastructure resources that are used to run your applications. The machines that manage the cluster are called Master Nodes and the machines that run the containers are called Worker Nodes. A Node is a physical or virtual machine. It has the necessary services to run application containers. A Master Node is the central control point that provides a unified view of the cluster. Multiple masters can be setup to create a highly-available cluster. A Worker Node runs tasks as delegated by the master. Each Worker Node can run multiple pods. Kubelet is a service running on each Node that manages containers and is managed by the master. This service reads container manifests as YAML or JSON files that describe each Pod. A typical way to provide this manifest is using the configuration file as shown in the previous sections. Kubelet ensures that the containers defined in the Pods are started and continue running. Kubelet is a Kubernetes-internal concept and generally does not require direct manipulation. There are a variety of ways to setup, configure, and run Kubernetes. 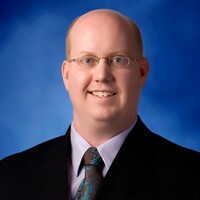 It can be run in the cloud using providers such as Amazon Web Services (AWS), Google Compute Engine, Azure, Packet, and others. It can be also run on-premise by building a cluster from scratch on physical hardware or via virtual machines. You can find out which solution is correct for you, as well as step-by-step instructions at https://kubernetes.io/docs/setup/. You can find a helpful quick-start guide to setting up Kubernetes on bare metal at https://blog.alexellis.io/kubernetes-in-10-minutes/. The recommended way to get started and run a single-node cluster for development and testing is to use Minikube. Minikube uses virtualization software like VirutalBox, VMware, kvm, or xhyve to run the cluster. It also depends on the kubectl for interacting with the cluster. For instructions to install Minikube and its dependencies, visit https://kubernetes.io/docs/tasks/tools/install-minikube/. Most interestingly, you can open a dashboard view in the browser to see and change what is going on in the cluster. [command] specifies the operation that needs to be performed on the resource. For example, create, get, describe, delete, or scale. [type] specifies the Kubernetes resource type. For example, pod (po), service (svc), replicaset (rs), or node (no). Resource types are case-sensitive, and you can specify the singular, plural, or abbreviated forms. [name] Specifies the name of the resource. Names are case-sensitive. If the name is omitted, details for all resources will be displayed (for example, kubectl get pods). kubectl --help Shows the complete list of available commands. The file couchbase-pod.yaml contains the Pod definition, as explained earlier. Once you are done using the application, you can destroy it with the delete command. If for some reason an instance crashes or gets shut down, Kubernetes will immediately spin up another one. To destroy the whole thing, you must delete it at the deployment level. Typical applications consist of a “frontend” and a “backend”. The “frontend” would typically be an application server, and the “backend” would typically be a database. For this example, we’ll use WildFly for our application server and Couchbase for our database. Start the “backend” Replication Set: The Couchbase Replica Set should contain the spec for a Couchbase Pod. The template should include metadata that will be used by the Service. Start the “backend” Service: The Couchbase Service uses the selector to select the previously started Pods. Start the “frontend” Replica Set: The WildFly Replica Set should contain the spec for the WildFly pod. The Pod should include the application predeployed. This is typically done by extending WildFly’s Docker image, copying the WAR file in the /opt/jboss/wildfly/standalone/deployments directory, and creating a new Docker image. The application can connect to the database by discovering “backend” services using Environment Variables or DNS. NOTE: The Service example above does this all in one file. By default, all user resources in the Kubernetes cluster are created in a namespace called default. Objects created by Kubernetes are in the kube-system namespace. By default, a pod runs with unbounded CPU and memory requests/limits. A resource can be created in a different namespace and assigned different memory requests/limits to meet the application’s needs. Resources created by the user can be partitioned into multiple namespaces. Resources created in one namespace are hidden from a different namespace. This allows for a logical grouping of resources. Specifying a quota allows you to restrict how much of a cluster’s resources can be consumed across all pods in a namespace. Namespace, resource quota, and limits allow a Kubernetes cluster to share the resources of multiple groups and provide different levels of QoS for each group. apiVersion: v1\nkind: ResourceQuota\nmetadata:\n  name: quota\nspec:\n  hard:\n    cpu: \"20\"\n    memory: 1Gi\n    pods: \"10\"\n    resourcequotas: \"1\"\n    services: \"5\"